Animals that carry a physical impediment can work harder to rear their young as a result, a study of insects has shown. In a study of beetles, those that were given a physical disadvantage — tiny weights attached to their bodies — spent more time feeding their young compared with others, research showed. They may behave this way, sacrificing valuable resources to care for their offspring, in case they are not able to reproduce again, scientists suggest. 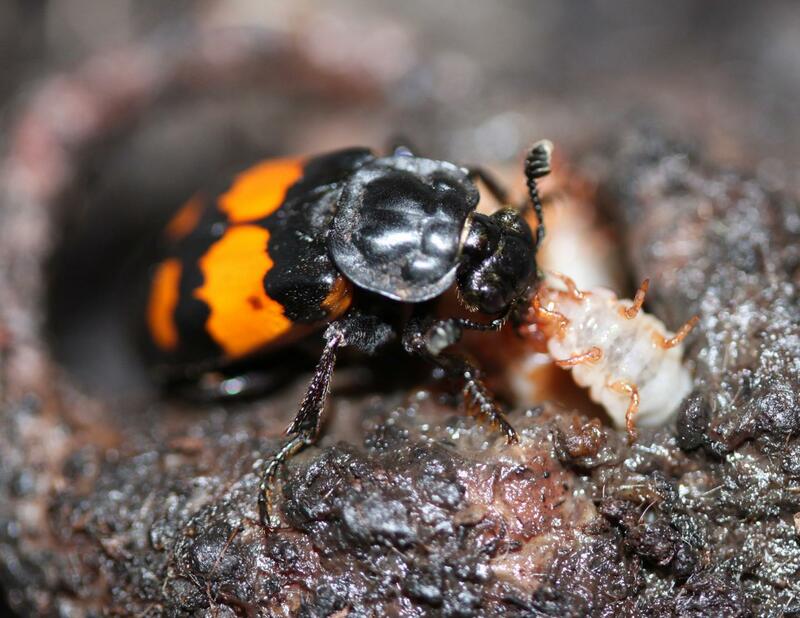 Researchers from the University of Edinburgh studied burying beetles — which are known for their intensive parenting, with both males and females are involved in rearing their young. The study compared females that had weights attached to their bodies with those that did not, noting how well the mothers were able to care for broods of various sizes. They found that mothers with a physical disadvantage spent more time feeding their offspring compared with other females. The results suggest that the insects may respond to having an impediment by expecting not to breed again, and expend more resources to ensure that their offspring survives, scientists say. Such an approach means the beetles seek to use their available resources to best advantage by giving their young the best chance of passing on their genes. Researchers say their finding was unexpected, as they had anticipated that animals with a physical handicap might be less able to provide care and spend less time feeding young. The study, funded by the Darwin Trust, was published in the Journal of Evolutionary Biology. Tom Ratz, of the University of Edinburgh's School of Biological Sciences, who led the study, said: "We were surprised to find that handicapped insects were providing more care instead of less — this is the opposite of what we expected. It seems that among these careful parents, decisions about how much to care for current or future offspring are influenced by the likely benefit."